Taiwan's exports further declines in August. Taiwan's exports further dropped 14.8 percent year on year in August, with all of the 11 export categories but transportation equipment underscored by bicycle posting decline, according to the Ministry of Finance. The ministry expects the island's exports to begin rebounding in September after steadily declining for the seventh month based on the local petrochemical industry having resumed production after taking downtime, as well as the near completion of the de-stocking cycle of some electronic products. The ministry thinks the export recovery will continue for the remainder of this year, without being able to reverse the projected negative growth result for the entire year. 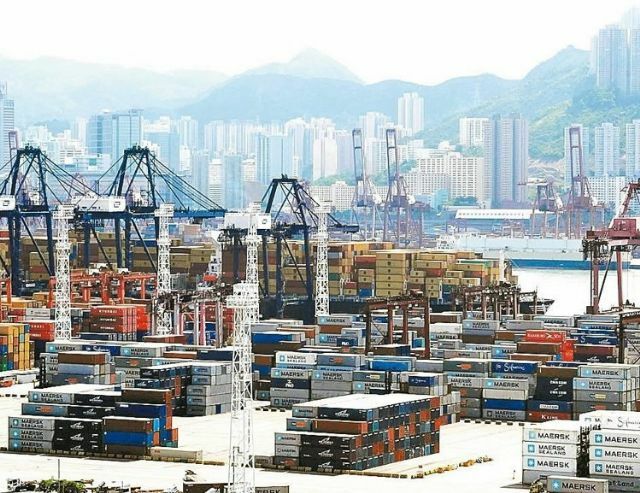 Taiwan's exports totaled US$23.93 billion in August alone, increasing US$380 million from the previous month but dropping US$4.14 billion, or 14.8 percent, from the same month of last year. The August result represents another fall in nine consecutive months on year-on-year basis and another double-digit fall in three consecutive months year-on-year, Taiwan's worst export recession since the 2008 financial crisis. According to the ministry, just because Taiwan's monthly exports have declined at year-on-year rate of over 10 percent does not mean the government will not be able to achieve its 1 percent target for gross domestic product (GDP) growth this year. Senior officials of the ministry stress that export is only one of the factors that decide GDP growth. Although the island's exports contracted at considerable rate in the first eight months of this year, the pace has begun slowing since June. The normal high season for Taiwan's exports in the fourth quarter, they say, may help the island's exports swing to positive growth. The officials point out that not all of the island's export goods posted recession in the first eight months. For instance, transportation equipment was the only export category that posted growth in August, increasing 11.6 percent year on year to US$1.13 billion. Of this category, bicycle exports increased 31.3 percent, or US$50 million, year on year. Throughout the first eight months, Taiwan's exports amounted to US$189.89 billion, down 8.8 percent year on year. Like its exports, the island's imports also declined in August, by 16.7 percent year on year to US$19.97 billion to mark the second consecutive month of imports posting below the US$20 billion benchmark. Although the August result represents a ninth month of recession based on year-on-year comparison, it inched up 0.2 percent relative to exports in July. Taiwan's imports dwindled 15.5 percent year on year to US$156.56 billion in the Jan.-Aug. period.